Each senior apartment at The Fountains of Hope — from our studio to the large two-bedroom companion suite — has been designed to facilitate graceful living. You can choose from a variety of floor plan styles and sizes to truly customize your or your loved one’s assisted living lifestyle. Our dedicated staff will help you consider each layout so you can find the best possible option for your needs and preferences. 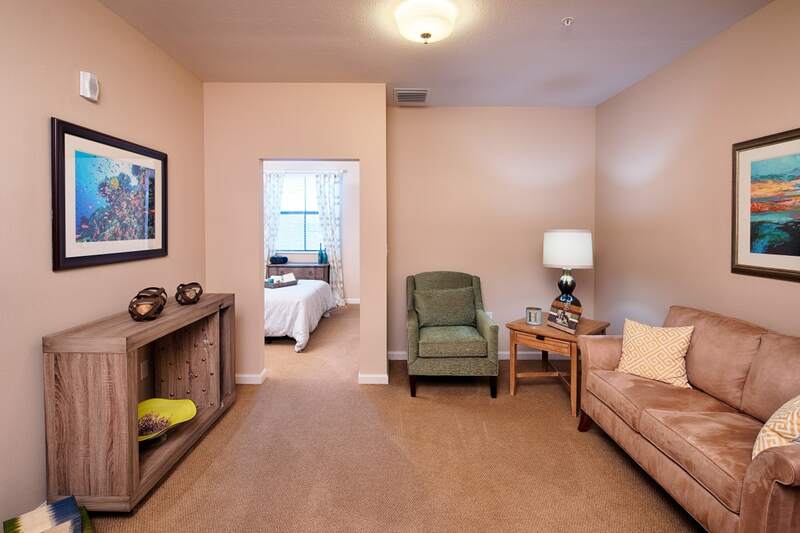 Click the links below to explore our senior apartment floor plans for yourself. Contact us and arrange for a personal visit to view our full selection of plans and availability firsthand. The spacious, maintenance-free senior apartments at The Fountains of Hope offers comfort, warmth and a new place to call home. Our beautiful community includes assisted living, memory support and respite care.